Here comes another exciting romantic horror-comedy film that is surely worth your time, money, and effort going to movie theaters. “I Love You To Death” is a 2016 movie brought by Regal Entertainment, which stars two of the brightest young stars of today, Enchong Dee and Kiray Celis. 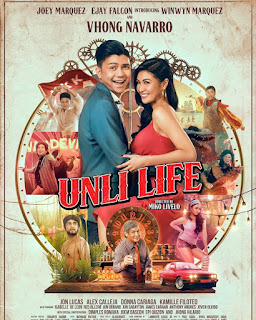 Watching this feel-good film of the year is surely a one-of-a-kind experience since it will make viewers fall in love, laugh, and scream at the same time. A few months after the undeniable success of the rom-com “Love is Blind”, comedienne and former child actress Kiray Celis will once again make a big noise in the Philippine cinema, especially this time that she will be teaming up with one of the country’s most admired matinee idols, Enchong Dee. This tandem is indeed something unusual and definitely an excellent choice for a romantic/comedy/horror film. The movie’s plot is basically about Gwen (Kiray) who once wished to finally find the man of her life who will love her truly, madly, and deeply. At first, everything is like rainbows and butterflies for her when such wish came true – her childhood sweetheart Tonton (Enchong) who is now a hunky boyfriend-material suddenly shows up and falls in love with her. But later on for some reasons, her fantasy has suddenly turned into a nightmare. What happens next and how her wish got granted are some of the things you got to find out when this fantastic movie finally hits the silver screens. 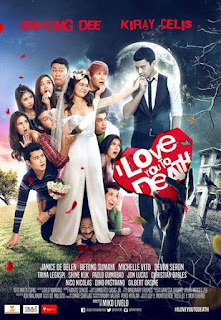 Included to the other stars of “I Love You To Death” are Janice De Belen, Michelle Vito, Devon Seron, Betong Sumaya, Paolo Gumabao, Shine Kuk, Trina Legaspi, Jon Lucas Christian Bables, Dino Pastrano, and Nico Nicolas. This highly anticipated movie was directed by Miko Livelo, and it will be shown in theaters all over the Philippines on July 6, 2016.